Our work on the River Thames Scheme (Datchet to Teddington) is progressing well. We’re keeping up the pressure to build this important scheme. Our customers living and working in the 15,000 homes and businesses in the flood risk areas between Datchet and Teddington face the worrying prospect of further flooding for every winter that goes by. Some residents have only just moved back into their homes after they were flooded last year. Over the last few weeks, my team has been pulling together to plan and prepare for a series of 9 public drop-in events. These are being run by the Environment Agency and our local council partners. 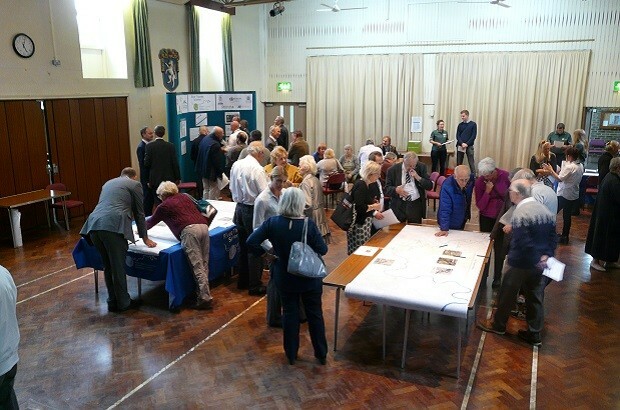 The first event was on 25 August in Wraysbury Village Hall and about 120 local people came along to find out more about the scheme and share their views. We are keen to hear what everyone thinks about the River Thames Scheme, as well as gaining their local knowledge and input. These public events will be followed by two workshops at the end of September / early October. These will consist of 2 discussions groups of local organisations and community representatives, who will work with us over the next year on the design for the proposed flood channel. In my last blog I talked about the river modelling. The first stage of the model has been given to our design consultants. They are using this to model the River Thames for the modifications to the three existing weirs at Sunbury, Molesey and Teddington. The full model is having its final checks and peer review before it’s approved for use. One of the projects within the River Thames Scheme is called Property Level Products, which is supplying and fitting flood products to homes that are at greatest risk. A few of the products being offered include flood doors and air brick covers, which help make buildings more resistant to flooding. Since 2011 we have installed these products to more than 200 homes as part of the River Thames Scheme. Some homes are unsuitable for them, where the type of construction means that water will find its way into the building. However, when Property Level Products are fitted, homeowners can take more effective action to protect their homes and possessions during a flood. We encourage residents to work together as community groups to plan and prepare for flooding, and support each other with Property Level Products. Everyone should make their own personal flood plan to and include when and how they will fit or check their Property Level Products. Please contact us at rts@environment-agency.gov.uk for advice on planning and preparing for floods.